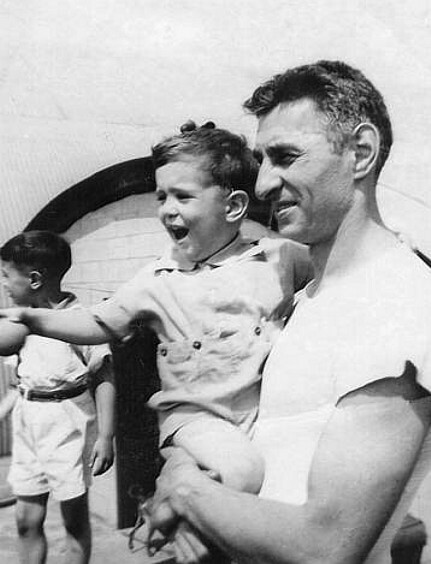 I am in my father's arms, somewhere on Long Island, quite happy and obviously excited about something. My brother is in the background. I suppose this is my favorite photo from my childhood . . .
My dad lived a long life, and the viewer can see him about a half century later, early in the year 2000.